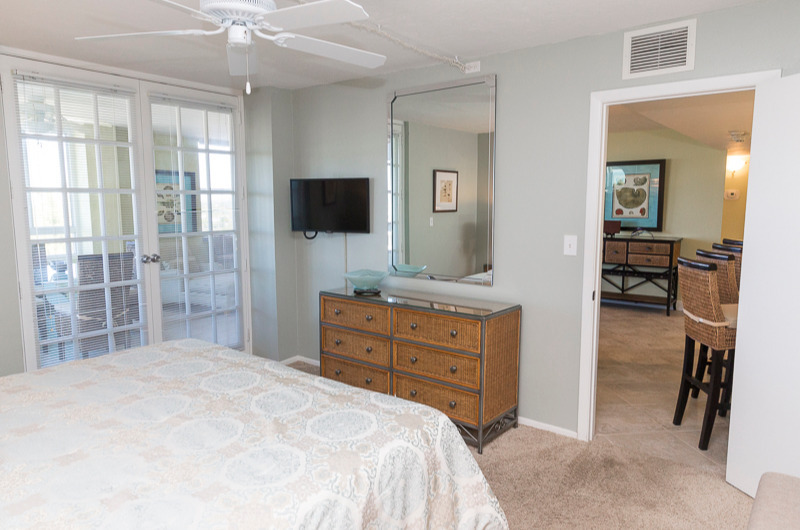 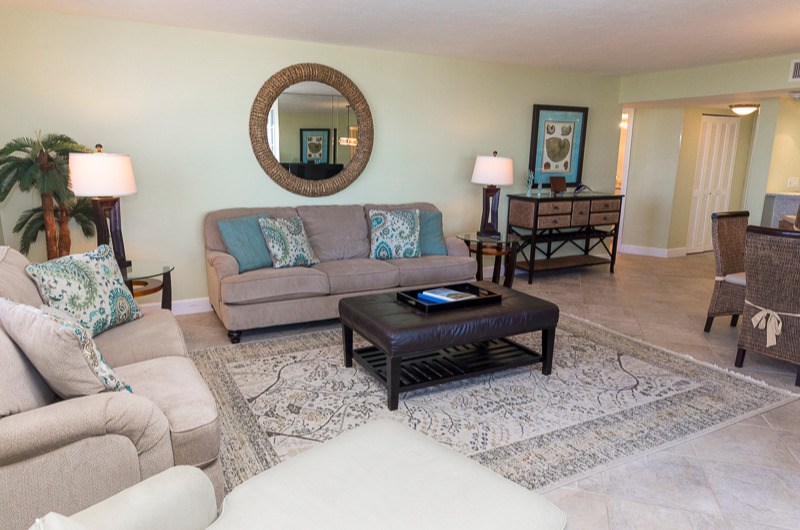 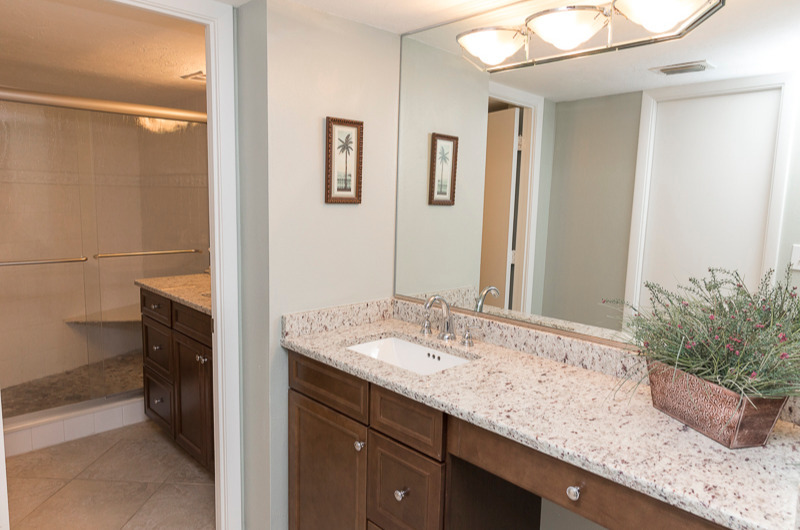 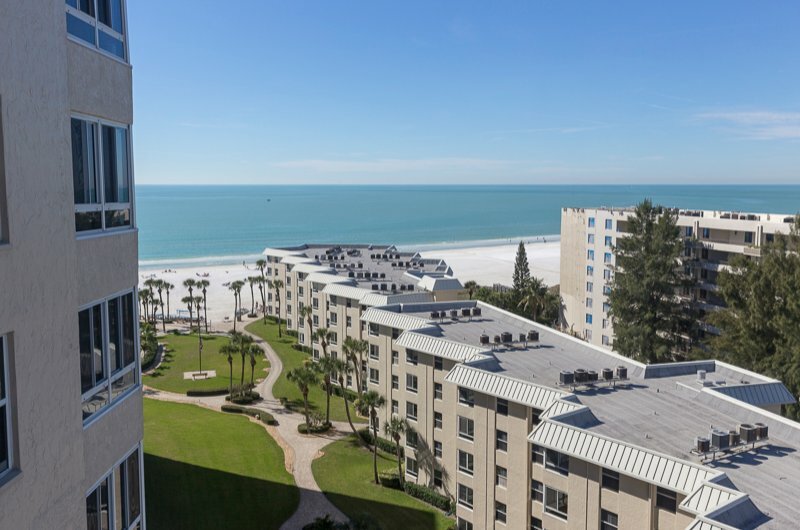 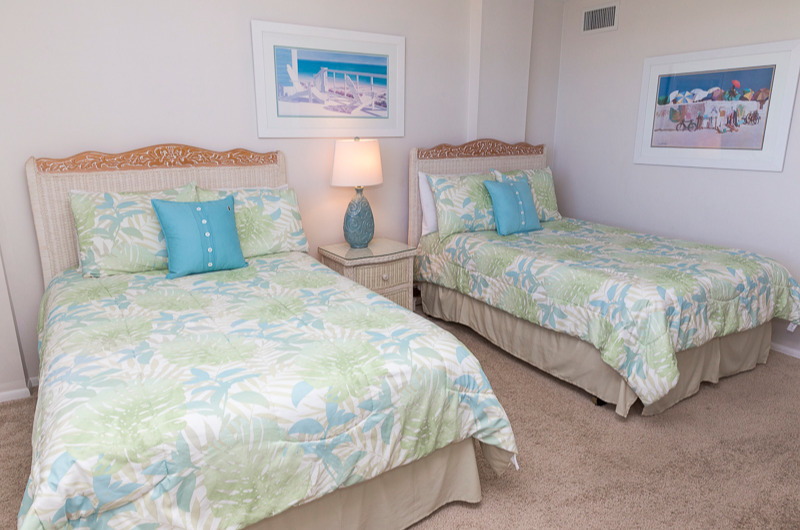 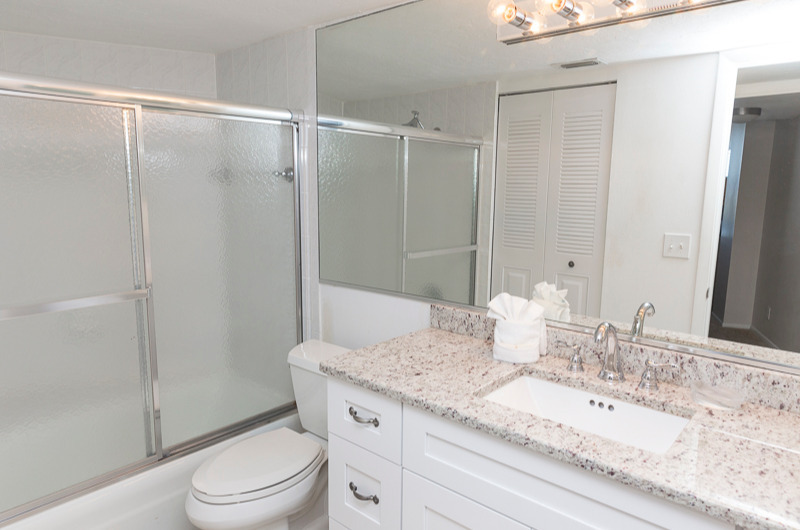 Located on the Gulf Coast of sunny Florida, ideally situated on 13 acres of beachfront property in the center of Siesta Key's Crescent Beach - judged the "#1 Beach in America for 2011" by Dr. Beach, the Sarasota Surf and Racquet Club is the perfect Siesta Key Resort. 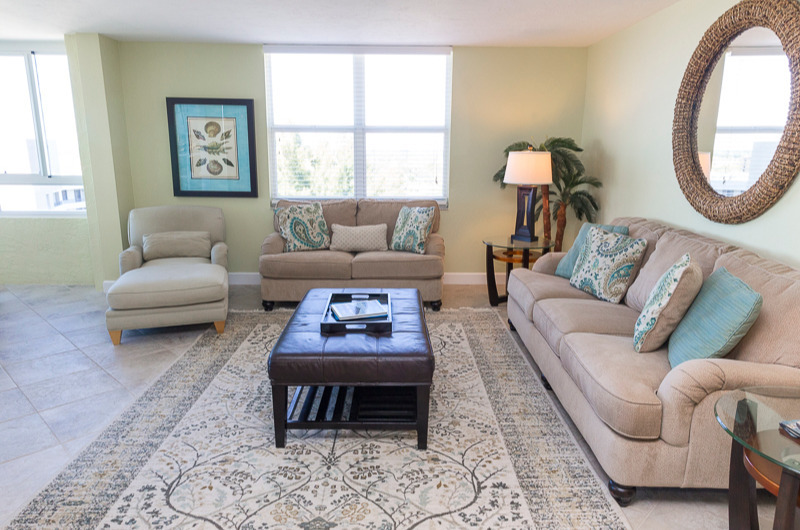 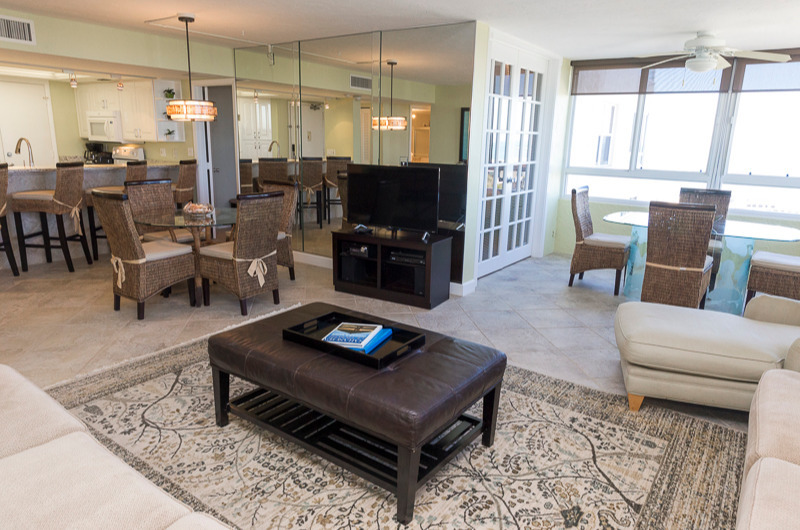 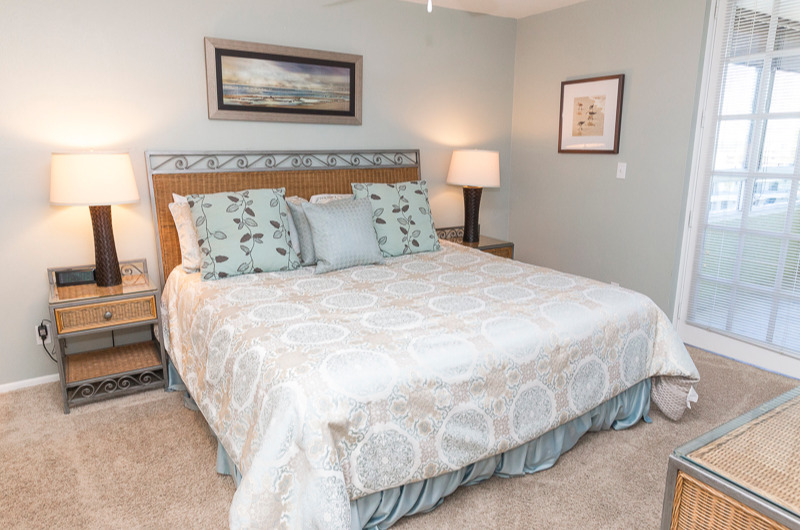 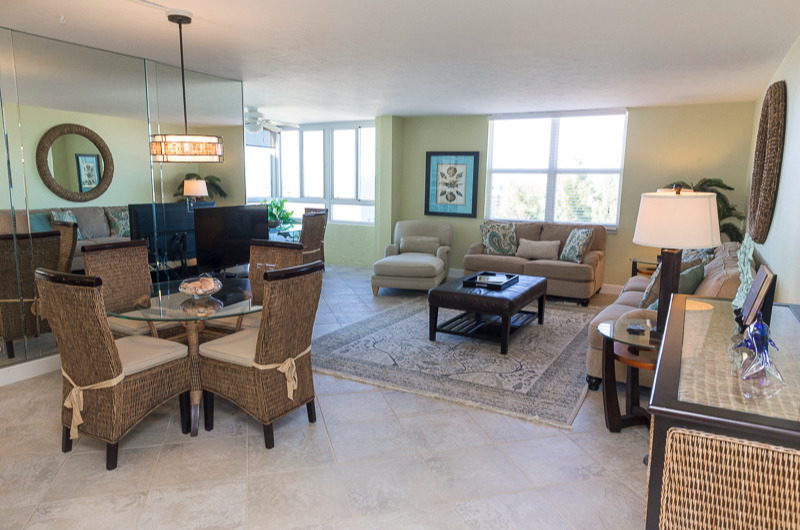 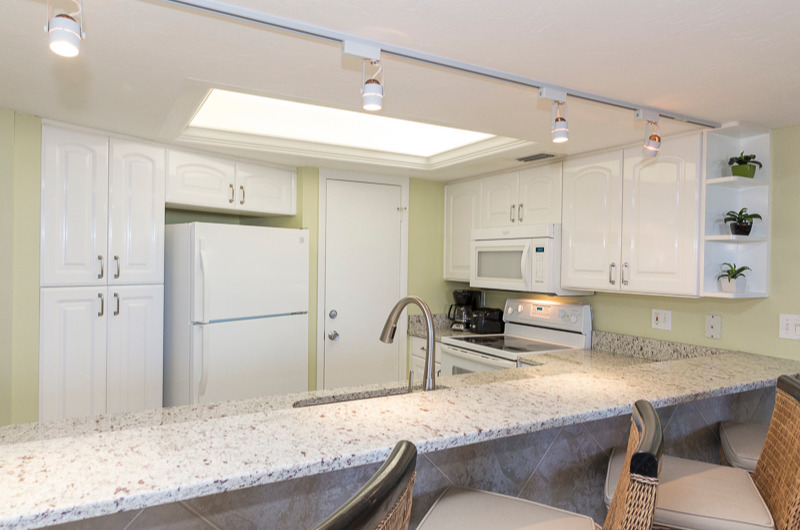 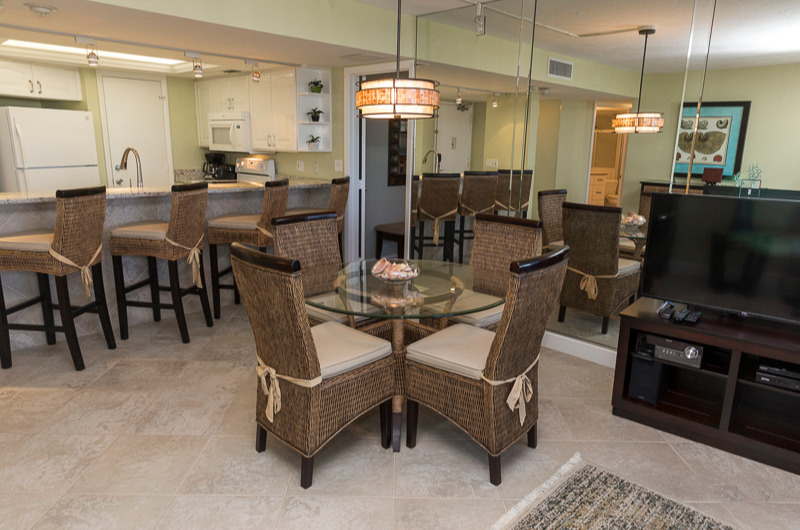 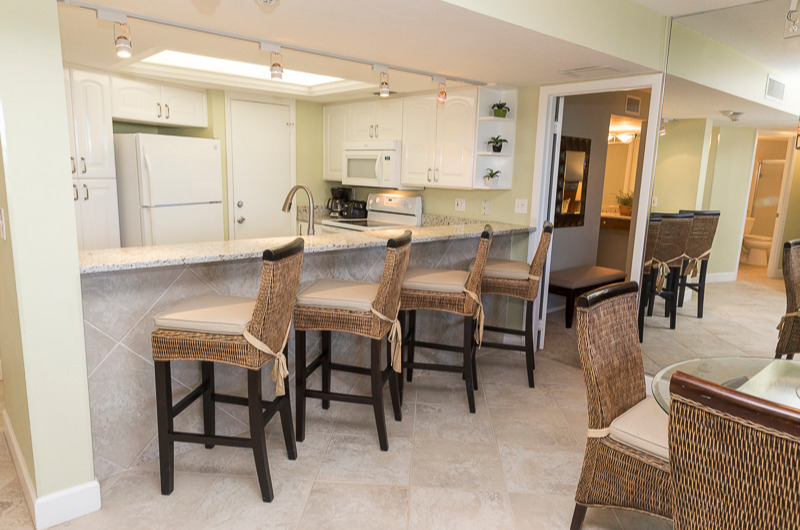 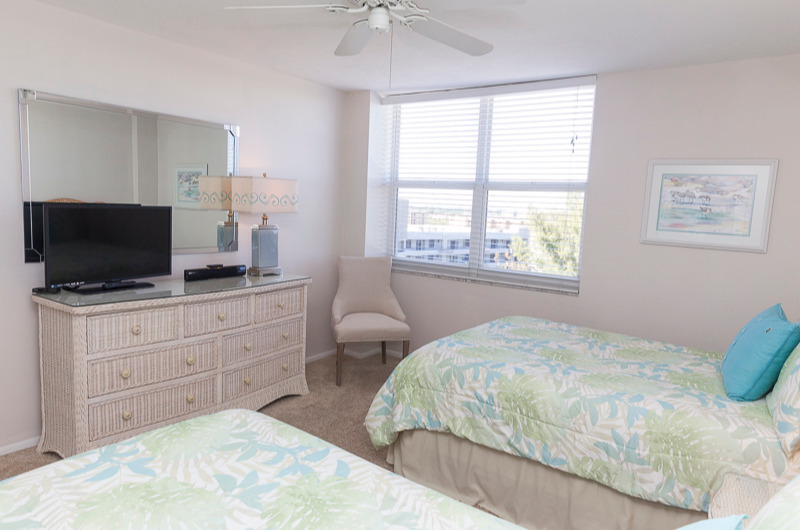 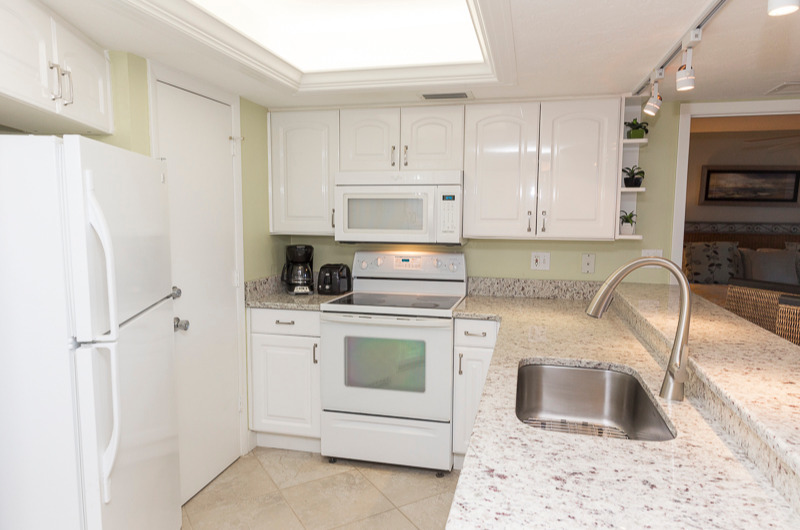 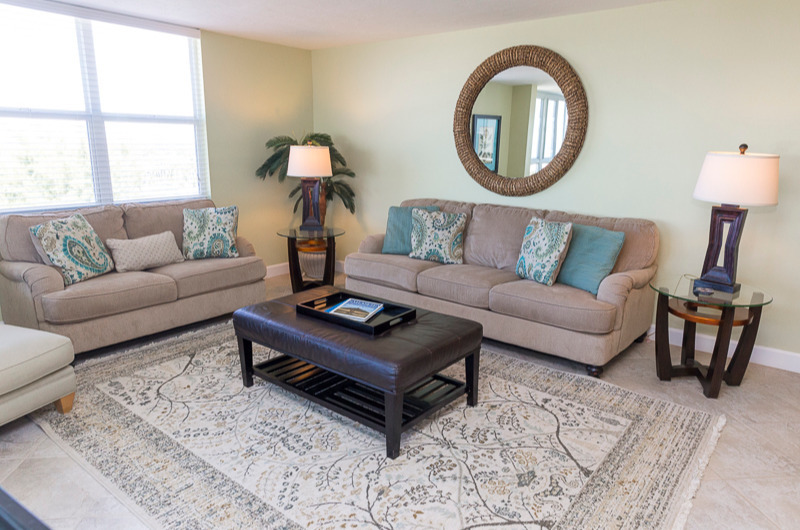 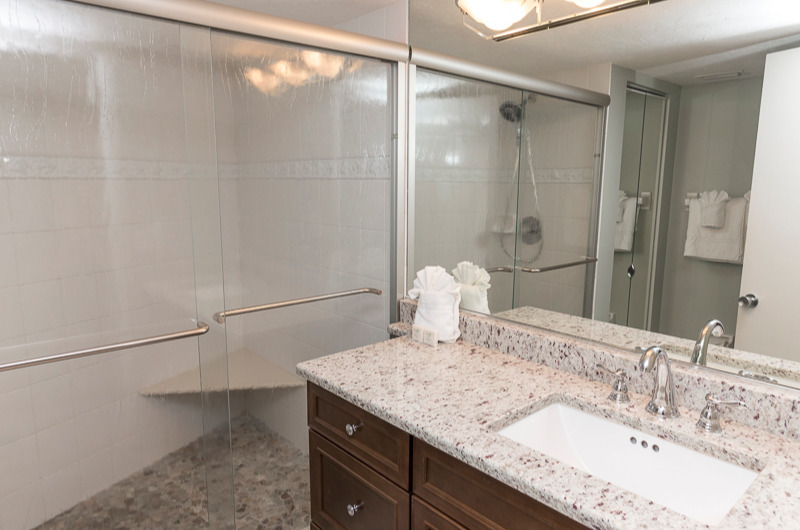 T1107 is a non-smoking unit in the Tower building, with an open concept living and dining room that that extends out to the unit's enclosed lanai. 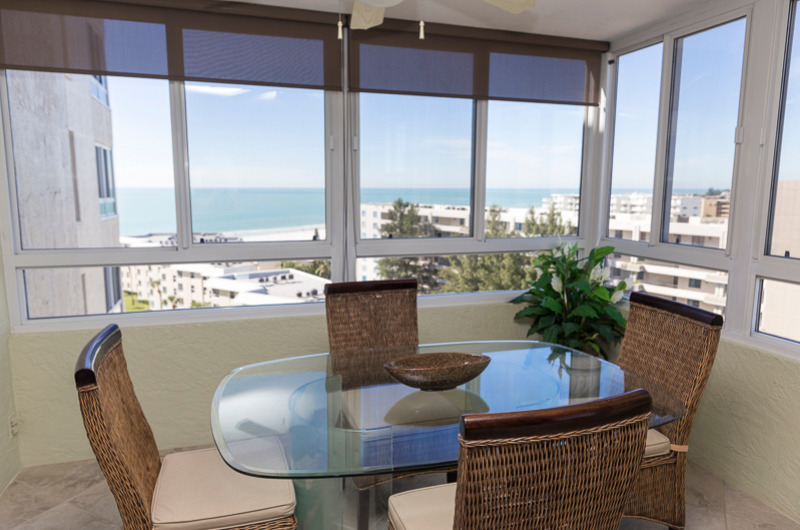 View - Gulf and/or Bay views from all windows.